The Graduate and Professional Student Assembly (GAPSA) has been an important initiator of change at the University of Pennsylvania. Since its founding over 30 years ago, the organization has striven to enhance the Penn graduate student experience through a diversified array of initiatives with an emphasis on promoting interdisciplinary research and bringing students from different disciplines together. GAPSA accomplishments are featured in the Daily Pennsylvanian and Penn Almanac and further discussions can be found in Board of Trustees Minutes. Highlights of our work are discussed below. In addition, please note that perhaps our proudest achievement is an intangible one: serving as your representatives to the Administration on a day-to-day basis in effecting positive change both on and off campus and working to make the Penn graduate student experience as ideal as possible. GAPSA was a powerful contributor towards the creation of a central home for all graduate students on Locust Walk, the heart of Penn’s campus. After years of rallying for the Center, in 2001, with Penn President Judith Rodin presiding over ceremonies, the Graduate Student Center was officially unveiled. Please visit their homepage to see everything the Center has to offer. GAPSA is responsible for placing graduate students representatives on University committees. Learn more! Less than fifteen years ago, the University lacked a uniform representative structure for graduate students. GAPSA campaigned to remedy the situation and successfully sparked the formation of student government bodies at the School of Arts and Sciences and the School of Education. Today, all 12 of Penn’s graduate schools feature individual student governments led by members of their respective schools. GAPSA now leads a cross-school initiative to further increase collaboration and effective advocacy. This involves a President’s Advisory Council and a fund for cross-school programming. For more information, see our page about the school governments. GAPSA has begun working with a committee from Penn Library to increase awareness amongst graduate students of library resources, as well as advocate the concerns of graduate students regarding space and collection management. GAPSA has begun reaching out to former general assembly members, as well as other student leaders who have since moved on from Penn. Our goal is to cultivate a network of formerly highly involved graduate students. We have had one successful event with alumni in Washington D.C. and have another event planned in Philadelphia for Alumni Weekend in Spring 2015. GradFest is our annual Fall kick-off program featuring a week of festive events. In past years, GradFest included events such as a kickoff theme party, museum day, speaker event, outdoor movie night, student activities fair, student research symposium, and a family barbeque for students with children. Organized by the Executive Board of GAPSA, GradFest has developed into a wonderful occasion to meet fellow Penn graduate students and mingle both on and off campus. GAPSA plans both large social events – attended by hundreds and sometimes thousands of students – as well as smaller cultural events attended by a few dozen students. Examples of large social events: Halloween Party, Black-and-White Formal, Moshulu Party, Masquerade Ball, and Boat Cruise. Popular smaller events in the past have included kayaking trips, baseball games, apple picking, theater outings, and subsidized restaurant events. Please see our calendar or events page for further information. In 2010-11, GAPSA collaborated with the Administration and conducted a campus-wide survey in its effort to bring attention to the cost of gym memberships at Pottruck. After GAPSA's endless efforts in 2016-17, as of Fall 2017, gym membership at Pottruck (which includes access to Pottruck Health & Fitness, Fox Fitness, and the Ringe Squash Courts) is included in the general fees for registered, full-time students, as stated here. GAPSA has worked in collaboration with the Undergraduate Assembly (UA) and University Administration to advocate for the mental health of our students. In 2014, the University convened a Mental Health task force, charged with making recommendations to better meet student needs. This ultimately culminated in an increase of resources to Counseling and Psychological Services (CAPS) and the formation of a student advisory board. GAPSA served as the primary advocate for graduate student concerns to the University, providing feedback and suggestions to the task force. GAPSA will continue to use student feedback to improve available mental health resources. 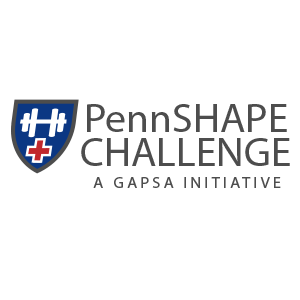 Through the Penn SHAPE program, GAPSA has promoted healthy behaviors amongst graduate students. Penn SHAPE offers a variety of free fitness classes. Classes run approximately 5 times per week, and include yoga, meditation, Zumba, weight training, and running. Learn more here! 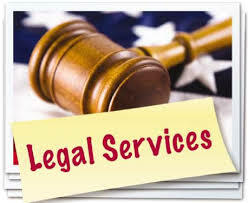 In collaboration with the Undergraduate Assembly (UA), GAPSA provides access to free legal services for graduate students. Click here for more information. You can find the form here! Wellness Fest is a biannual program for finals week to provide stress relief to students. Highlights include free massages, cupcake decorating, board games, and a visit with puppies. Every year, GAPSA hosts a traditional Thanksgiving dinner for graduate students who are not able go home for the holidays, or who wish to experience a traditional American holiday dinner. GAPSA purchases tickets to Philadelphia sporting events, local theater, concerts and various local events throughout the year. Tickets can be purchased by graduate and professional students at a heavily subsidized rate. GAPSA sponsors the Penn Grad-Undergrad Mentoring Program in collaboration with the UA and the Graduate Student Center. This program pairs Penn undergraduates with Penn graduate and professional students to help undergraduates learn first-hand about graduate school. Graduate student mentors offer a unique insider's perspective on what it's like to apply to and attend graduate school. In collaboration with the Graduate Student Center, GAPSA has worked to improve the quality of the Family Resource Center, located in the basement of GSC. This provides a safe and friendly environment for graduate students with children. Learn more! GAPSA has orchestrated the installation of several lactation pumps in key areas around campus. Work continues to install more lactation infrastructure and ensure that all lactation spaces are of adequate quality. For more information, click here! GAPSA provides financial support for Emergency Back-Up Child Care, a program for graduate students with children, run out of the Family Resource Center. In coordination with the Family Center, GAPSA sponsors a parenting clinic for graduate students. See their page for more information. Formerly known as the IDEAL Committee, GAPSA has advocated for support for the University’s affinity organizations, which has led the formation of the IDEAL (Inclusion, Diversity, Equity, Access, and Leadership) Council, a council of university-wide affinity organizations. The IDEAL Council sends representatives to the the bi-monthly GAPSA General Assembly (GA) meetings to vote on issues presented there. During the GA meetings, the council will discuss best practices, develop cross-cultural programming, and network. The groups represented by the IDEAL Council usually receive funding from GAPSA to support their yearly programming. Over the summer and into the beginning of the fall semester, GAPSA provides scheduled shuttle service for arriving new international students. The shuttle runs between the Philadelphia airport, 30th Street Station, and locations on Penn’s campus. GAPSA has co-sponsored the first annual Graduate Women’s Leadership Conference at Penn, funded by an endowment from an alumna. This program is open to all graduate women who are interested in bettering their leadership skills. GAPSA has developed a guide for international students to facilitate the obtainment of state identification. Soon to come: driver’s license guide. GAPSA works closely with the cultural centers on campus to advocate for marginalized and underrepresented groups on campus. GAPSA co-sponsors career services support for international students. The 10th Annual Ivy Summit will be hosted by the University of Pennsylvania in Philadelphia on November 2 – 4, 2012. This page provides information to assist student governments prepare for the upcoming event. To support student initiatives, GAPSA annually reserves over $300,000 in its budget for student group funding, cross-school collaborative events and initiatives, and the General Assembly Discretionary Fund. This latter source of funding, long enshrined in the GAPSA Constitution, invites applicants to seek funding by presenting in front of the General Assembly. To learn more, please see our Funding page. GAPSA has been delegated the responsibility of soliciting and reviewing individual applications, and dispensing over $150,000 annually to support student attendance at academic conferences and professional development. Funding is disbursed approximately three times per year. Please see our Funding page for further details. This prestigious award is funded by a special grant from President Amy Gutmann. Funding is awarded in three rounds. Students must be presenting at an academic conference, with estimated costs greater than $1,000. Please see our Funding page for further details. Through the generous matching funds by the Provost’s Office, GAPSA administers this competitive fellowship for students (individuals or pairs) who are working on interdisciplinary, short-term projects. Please see our funding page for further details.